We represent insurance New York and New Jersey policyholders in “first-party” insurance claims. A first-party insurance claim is one that is asserted by a policyholder against his or her insurance company. This usually arises when a policyholder makes a claim for loss and the claim is improperly denied by the insurance company. Our goal is to get you the insurance benefits that you rightly deserve. We have assisted policyholders in a variety of different ways, from submitting claims and writing appeal letters to commencing litigation in state and federal courts. These commercials convey the impression that insurance companies are highly trustworthy and have your best interests in mind. To the contrary, insurance companies are primarily guided by a desire for profits. In fact, it has been said that insurance companies excel at three things: 1) collecting premiums; 2) denying claims; and 3) litigation. Insurance denials are common occurrences, and if it happens to you, you need to be prepared to stand up for your rights. At the Law Offices of Eric Dinnocenzo, we have vast experience representing New York and New Jersey insurance policyholders who have suffered insurance claim denials. We are highly knowledgeable about relevant legal rules and principles, and we review insurance policies and denials very carefully in order to craft successful legal arguments on behalf of our clients. In fact, we have taken on cases that were rejected by other law firms because of our in-depth understanding of this area of law. We will advocate strongly and vigorously on your behalf to get you the compensation you deserve. 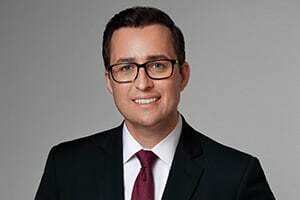 If you are a New York or New Jersey insurance policyholder, and you have suffered an insurance claim denial, you can call Insurance Attorney Eric Dinnocenzo at (212) 933-1675 for a free consultation.